India is an awe-inspiring spectacle of raw energy that defies simple definition. Bejewelled with opulent monuments to a complex past, bustling with activity and a kaleidoscope of cultures, and blessed with diverse regions of outstanding natural beauty, this fragrant melting pot bubbles with the promise of the extraordinary – no wonder travellers have flocked here for centuries. A miraculous stitching together of cultures and wildly varying landscapes, India’s vibrancy, bursting forth from the moment you step off the plane, excites the imagination and feeds the soul. Home to more than one billion people and myriad cultural heritages, fragrantly spiced snacks and colourful markets, India is a feast for the senses, which, like the dishes in a traditional thali meal, are endlessly topped up until your departure. 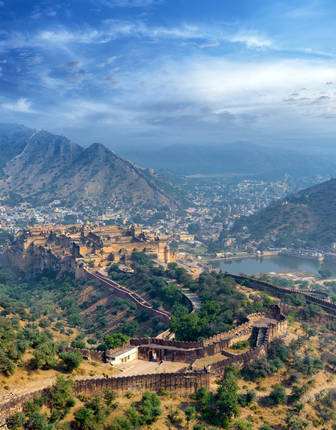 With a rich history of competing civilisations, from the Mughals to the British Raj, India embodies a collision of cultures, trade routes, and grandiose empires whose monuments dot the land. Sights as diverse as onion-domed mosques, imposing red sandstone forts, monkey-infested temple ruins, and opulent palaces await exploration. Faith and ritual take on an everyday beauty in this land of contrasts. Businessmen bow to orange-clad gurus; kites weave between towering mosque minarets; and Buddhist flags whisper prayers on the wind to the high Himalayas. 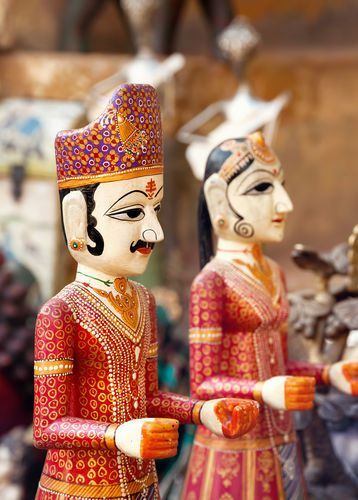 Time your visit to coincide with one of India’s many festivals to experience the country at its most joyful and devout. See plumes of multi-coloured flour explode around ecstatic faces during Holi, or witness the annual procession of wooden juggernauts roll by sheer force of excitement into Puri’s Jagannath Temple. 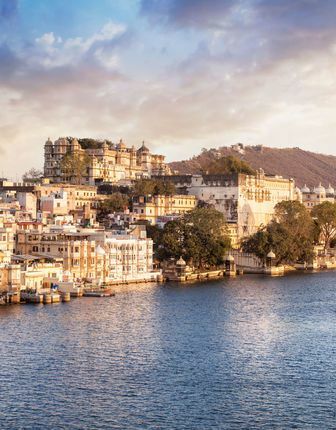 India’s breathless pace of life finds its counterpoint in peaceful nature reserves, tea-rich hill stations, grand train journeys, and sun-drenched beaches. 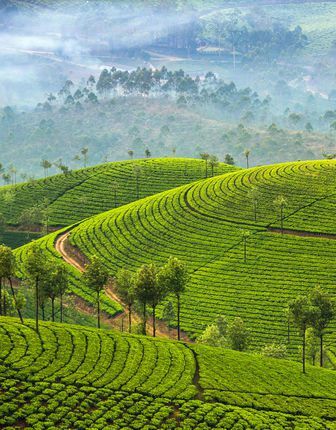 Take a morning safari from your luxury tented camp to encounter elephants, rhinos, and Royal Bengal tigers navigate idyllic backwaters from the comfort of a plush Keralan houseboat; or sample Darjeeling tea from the cool heights of one of the British Raj’s summer retreats. 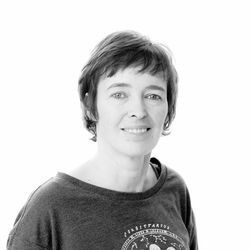 India’s multi-dimensional travel opportunities, from metropolitan hubbub to tranquil natural wonders provides the ideal base to curate your luxury, tailor-made itinerary with the attentive help of our knowledgeable specialists. 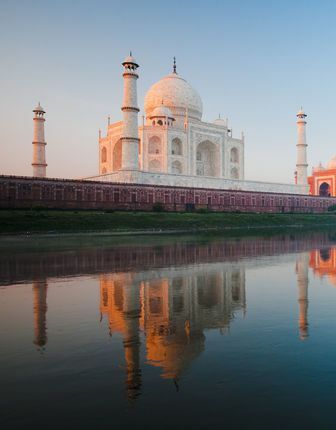 Experience the majesty of the Taj Mahal with a renowned historian. 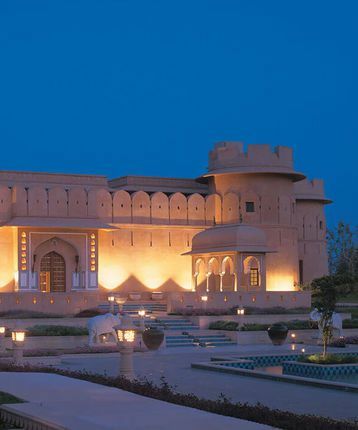 Be hosted by living Maharajah’s and stay in their palaces or attend an evening event as an honoured guest. Explore the Himalayan mountain town of Rishikesh, the birthplace of yoga and Ayurveda and let a leading exponent lead you through a yoga session or period of meditation. Take to the skies for a timeless hot-air balloon flight over Jaipiur. 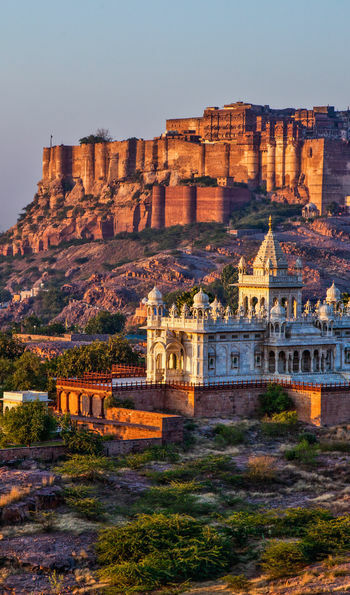 Explore the wonders of the magnificent Mehrangarh Fort, towering above the old city of Jodhpur, and let a top historian guide you to its treasures. Indulge in an intimate lunch of local delicacies between the ramparts of the fort. 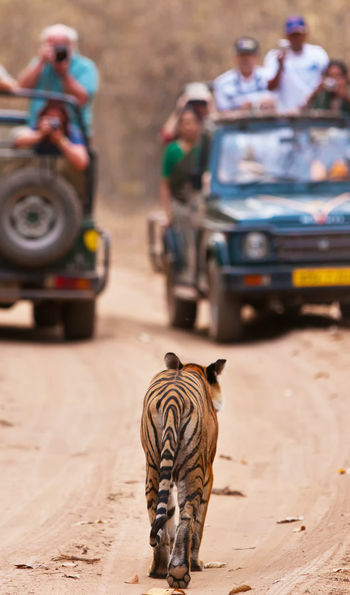 Undertake a private 4x4 safari in the Ranthambore National Park, accompanied by the foremost authority on Indian tigers. Let yourself go for the outrageous Holi celebrations or even star in your own Bollywood film. 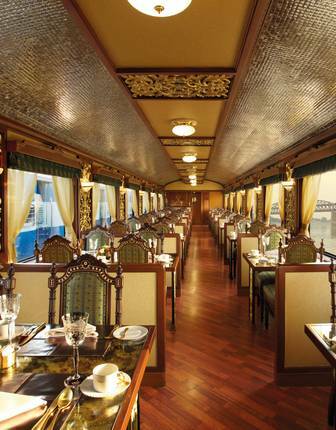 Then, to top it all off, head south to the beaches and backwaters of Kerala for a luxury houseboat cruise. 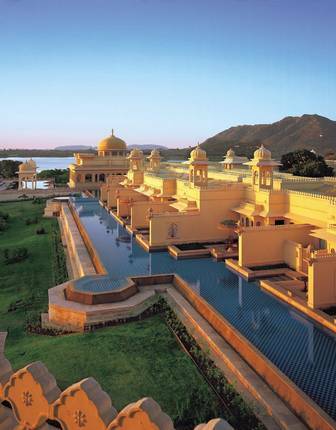 Consider contemporary hotels in incredible locations such as Oberoi Amarvilas, which overlooks the Taj Mahal. 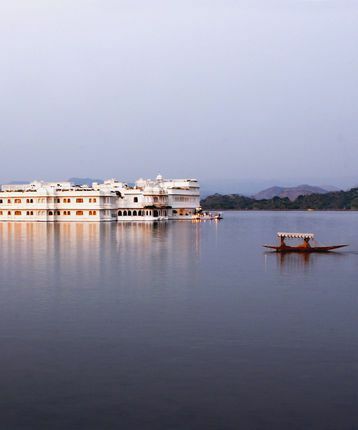 Alternatively, be entertained in royal style at Maharajah palaces such as Umaid Bhawan or Taj Lake Palace, which floats in the most romantic setting. Try too Rambagh Palace, the one-time home of the rulers of Jaipur. 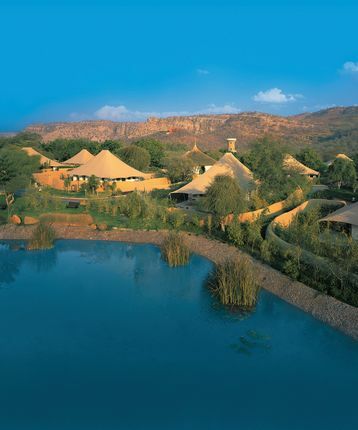 Otherwise, seek out atmospheric forts such as Alila Fort Bishangarh, exquisite desert camps and safari tents or stunning lodges in national parks like Oberoi Vanyavilas. 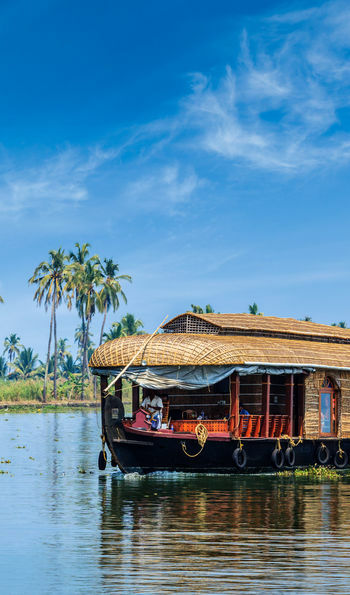 Experience Eco-friendly rural retreats such as Spice Village and ask us about a berth on a luxury houseboat that explores the sleepy backwaters of Kerala. 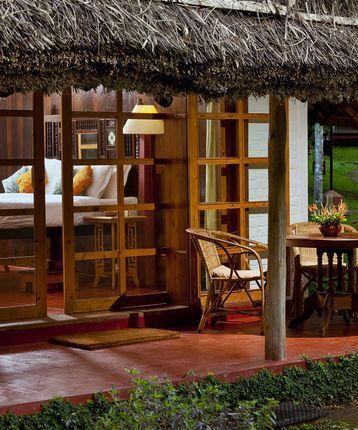 Step back in time by staying on tea estates or Colonial style boutique hotels including The Brunton Boatyard. 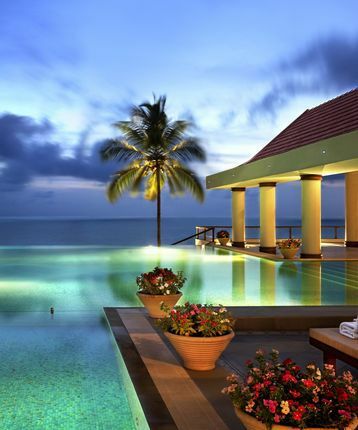 End your adventure with a retreat to beach chic escapes such as The Leela Kovalam. 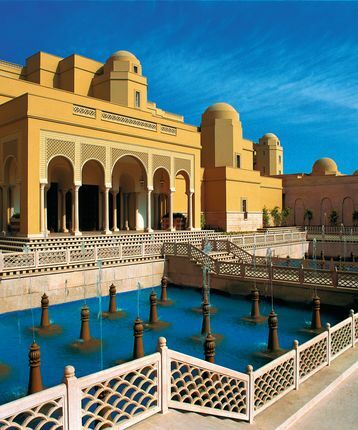 If you’re not inspired by the thought of gazing upon the domes of the Taj Mahal by moonlight while soaking in the bath, then The Oberoi Amarvilas may not be for you. But if unencumbered views of the Taj from your room sound appealing, then look no further. 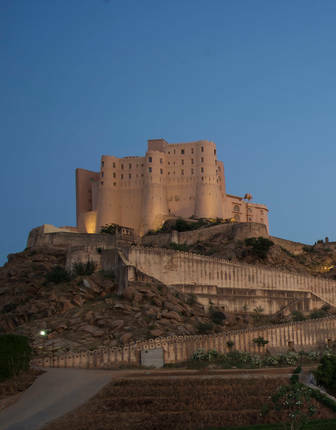 With 360-degree desert views and an idyllic, off-the-beaten-track location, this grand castle hotel is just an hour from the pale-pink forts and palaces of Rajasthan’s storied capital. The epitome of Indian beach chic, the ultra-luxe Leela enjoys an unparalleled position on a rocky promontory overlooking a sandy bay among the Kovalam cliffs. 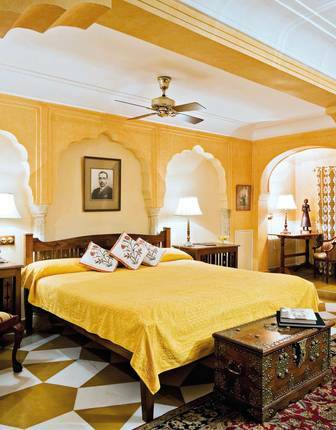 Stay in the home of a living maharaja. Ride his horses. 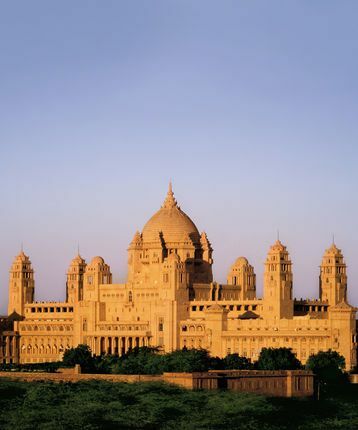 Explore Jodhpur and surrounds in one of his vintage cars. Dine on some of the finest Indian cuisine in the region. And unwind in style in the swish subterranean spa. Frequently lauded as the world’s most romantic hotel, the unrivalled service, exquisite dining and an unparalleled location floating on a lake is mesmerizing. Experience simple luxury and privacy in this eco-friendly resort featuring charming cottages dotted around aromatic spice gardens in the wildlife-rich Cardamom Hills. 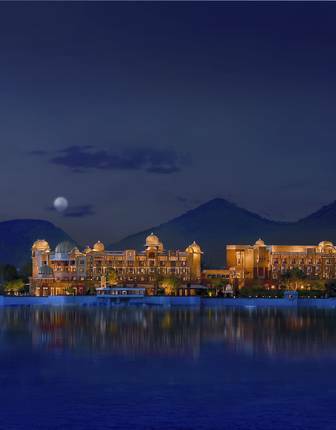 One of the finest heritage resorts in India set on the tranquil banks of a lake. 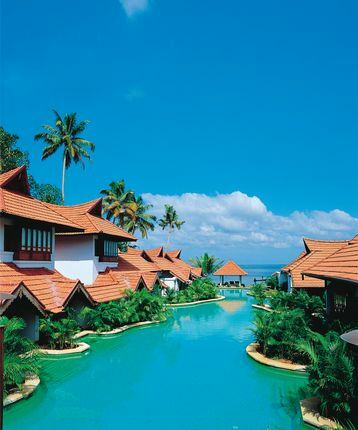 The luxury-laden accommodation exudes Keralan charm while every modern comfort is catered for. 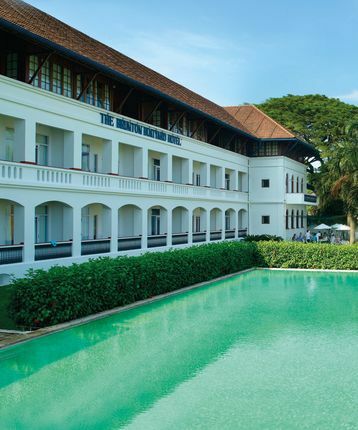 Charming, Keralan colonial style boutique hotel on a historic stretch of Kochi Harbour. In surroundings evocative of another era, all rooms face the sea. A luxury resort full of character, with gorgeous rooms, tents and villas and all the first-rate amenities and facilities you would expect from the brand. 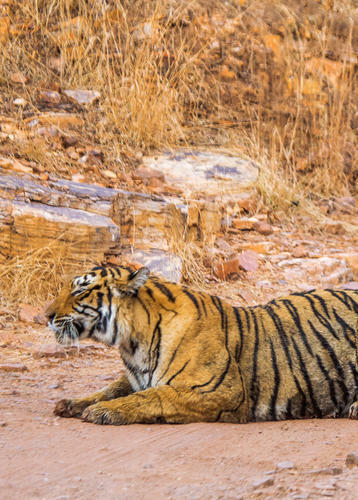 You’ve excellent chances of spotting tigers at dawn and dusk here. In between it’s up to you. 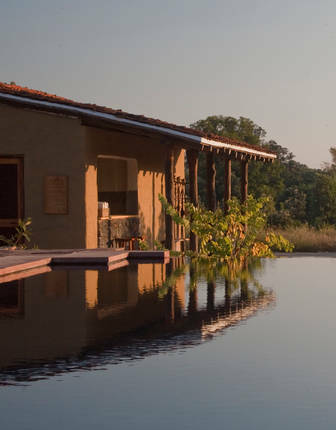 Venture out to the 1,000-year-old Ranthambore Fort, get pampered at the spa, or climb the observation tower for wonderful views across one of India’s best-loved parks. 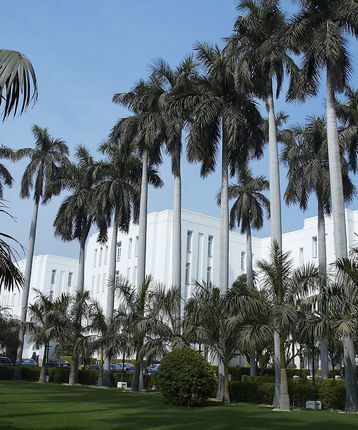 Regarded as Delhi’s most elegant grand hotel, this 1930s masterpiece is close to the attractions of both Old and New Delhi and overflows with colonial charm. Think rattan furniture, vintage photographs, black-and-white marble and staff in period uniform. Brimming with artefacts from the days of the Raj, this opulent 5-star hotel offers a taste of regal splendour by the walls of the ‘Pink City’. 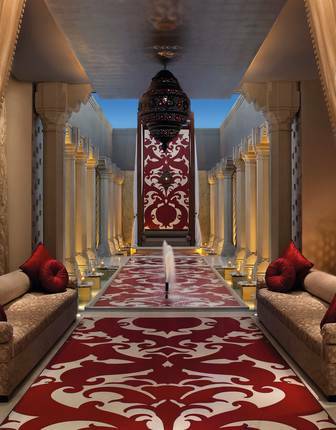 Enjoy the signature spa treatments and exceptional Indian cuisine. 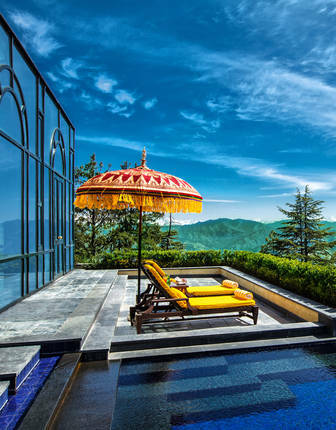 Wildflower Hall, once Lord Kitchener’s residence, is now one of the Oberoi group’s most impressive hotels, with spectacular Himalayan views. Palatial, wildly romantic, set on the shores of a mirror bright lake, the Oberoi Udaivilas frequently tops any best hotel in India awards. Guests arrive by boat to this romantic lakeside resort with splendid views and elegant rooms decked out in a traditional Rajasthani style. 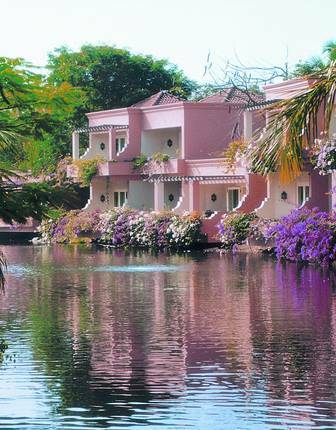 One of Goa’s most enchanting beach hotels, the Leela Goa sits amidst small lagoons and lush gardens beside the Arabian Sea. 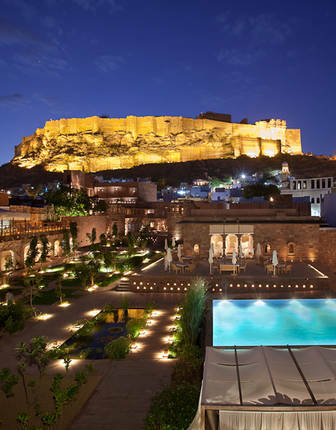 Gorgeous boutique hotel in the heart of Jodhpur with possibly the best views from any hotel in India, maybe even the world. 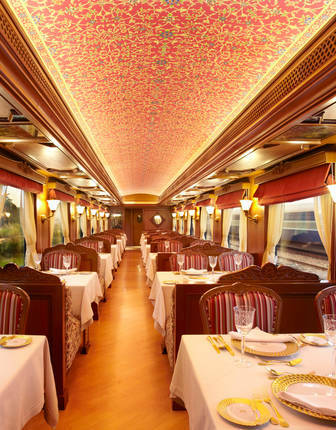 Step back to the opulence of the Indian kings with one of the world’s most luxurious train journeys, showcasing the country’s rich wonders on a series of curated excursions. 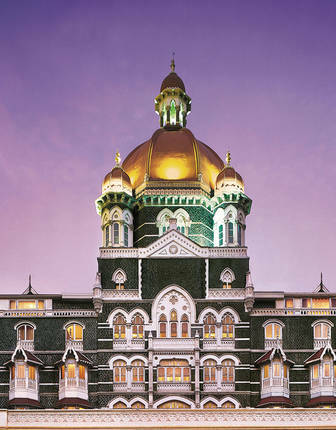 With views over the Arabian Sea and the Gateway to India, this is Taj Hotels' flagship property – a slice of nostalgic elegance in the heart of Mumbai's bustling waterfront. 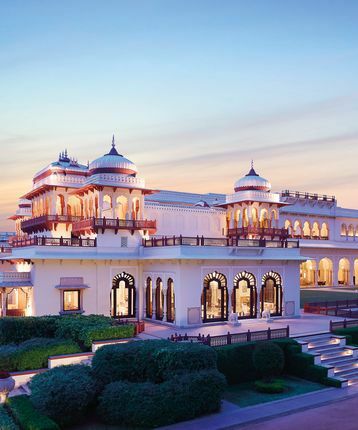 From its 35 acres of verdant gardens to its grand marbled halls and opulent rooms and suites, this hotel in the heart of ancient Agra is India at its luxurious best. 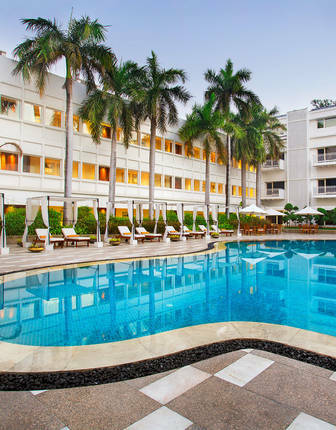 Located in the prestigious Lutyens' district, this luxury hotel, complete with a spa, palm-shaded gardens and four superb restaurants, is an oasis of calm in the heart of India’s busy capital. 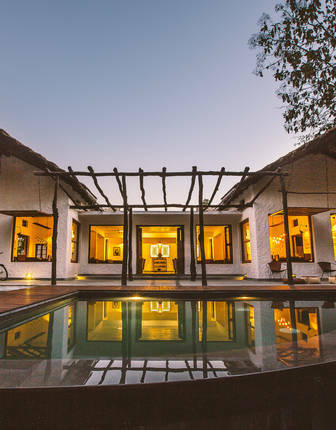 There are just 12 beautifully appointed villas at this luxurious lodge, which borders one of India’s most exciting wildlife reserves. 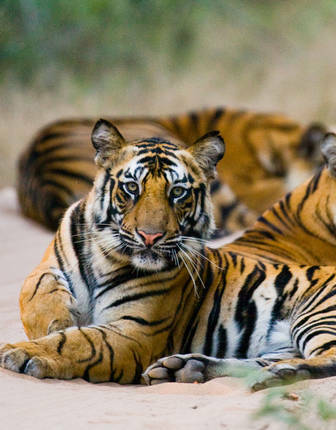 Indeed, it's one of the best places in the country to spot the elusive and majestic tiger – an unforgettable experience. Located right beside Pench National Park, this exclusive collection of luxury tents is dotted beneath lofty Arjuna trees. The front wall of each tent rolls up to reveal stunning views of an untamed landscape filled with wildlife. 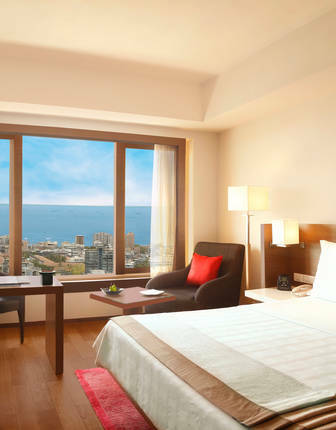 Overlooking the Arabian Sea and the famous swoop of Marine Drive, the Nariman is perfectly positioned to make the most of Mumbai’s attractions. It’s reputation as one of the best hotels in town is well deserved. Once the townhouse of the aristocratic Samode family, this historic hotel offers no shortage of romance and charm. 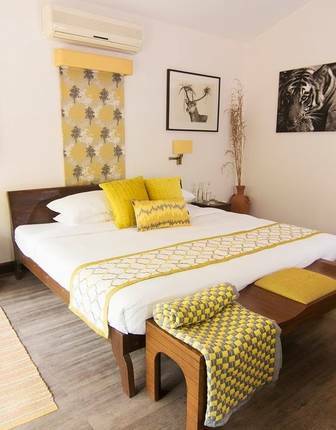 Indeed, its 200-year-old history still lingers, entwined with luxurious contemporary comforts. 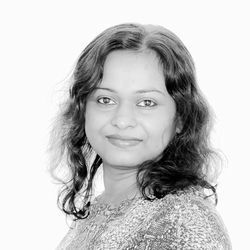 Travel to India is dictated by the monsoon season, which, from May onwards, can impact where you go; to enjoy the best conditions, visit during the cool, dry winter from October and March, the end of which is marked by the riotous colour of Holi festival. From March to May the south becomes oppressively hot although you could make like a local and retreat to the hill stations. The monsoon sweeps north across the country, finally reaching the Himalayas by early June when many roads become impassable. Visit the mountains from September onwards, however, and you'll be treated to picture-perfect views of some of the world's highest peaks.